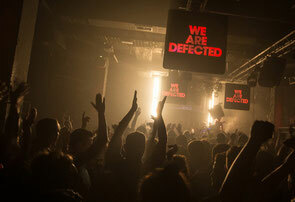 Defected Records recently revealed their new video, 15 Years In The House, their definitive video guide to their 15th anniversary and a huge year in house music for the brand. With narration and reflection from Defected founder Simon Dunmore, the video includes the footage from their biggest parties of 2014, including We Are FSTVL, Global Gathering, Ministry of Sound and Defected In The House and Glitterbox at Booom, Ibiza, as well as recent events at The Arches, Glasgow and Motion, Bristol. Also featured is music from and footage of some of their best star performers, including Masters At Work, MK, Henrik Schwarz, Noir, Guti, Sam Divine, Nic Fanciulli, Oliver Dollar, Hercules & Love Affair, Terrence Parker and a host of house stars.